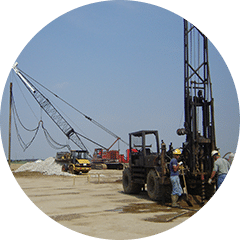 At Subsurface Constructors, we offer a combination of both ground improvement and deep foundation services. We bring value engineering to all phases of your geotechnical project, using innovative process improvements and emerging technologies to capture the greatest value. Our services are comprehensive, covering design/build and site investigation capabilities. We can deliver projects from concept to construction and to any scale, providing you total responsiveness, reliability and a pain-free experience. Our specialized expertise spans the areas listed below. 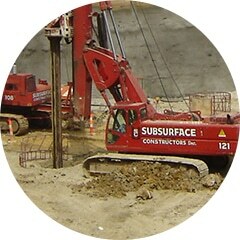 Subsurface Constructors is a national leader in full-service ground improvement. Using the most cost-effective solutions, we help you mitigate liquefaction and improve both bearing capacity and settlement performance. 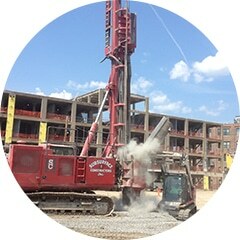 As the premier deep foundation contractor in the Midwest, we offer drilled shafts, micropile, driven pile and augercast pile. Whether you face low clearances, a rapid schedule or low-noise requirements, we’ll deliver a high-capacity foundation. Our team has the experience to design and build safe, reliable and low-cost earth retention walls for the biggest jobs. With tight quality control and rapid excavation, we mitigate your risk and put your project ahead of schedule. 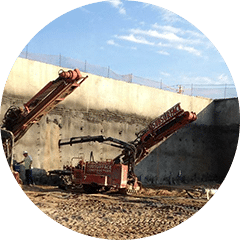 Subsurface Constructors has more than a century of experience in foundation construction and provides the expertise to solve the toughest geotechnical problems. 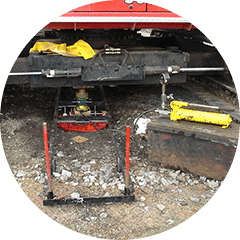 Using load tests on foundation solutions, we can verify design loads or prove higher capacities that allow for a reduction of foundation elements, saving costs. We can even monitor the movement of earth retention systems after their completion.